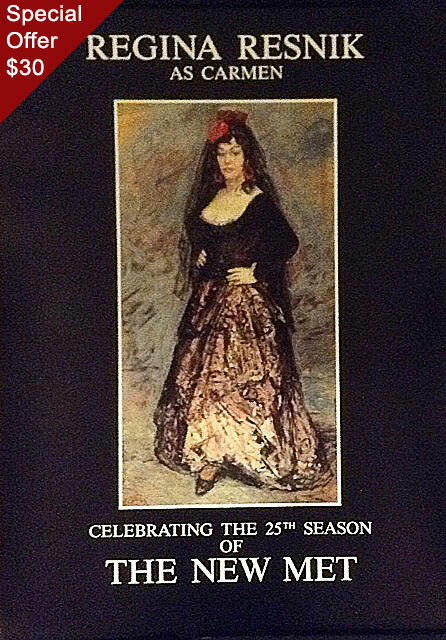 This historic 1991 poster commemorates Ms. Resnik's Met performances as Carmen between 1965 and 1971, as well as the 25th anniversary of the Met at Lincoln Center. The original full-length portrait by Arbit Blatas (from which the poster was taken) hangs in the National Portrait Gallery of the Smithsonian Institution, Washington, DC. 26 1/8 x 19 in.